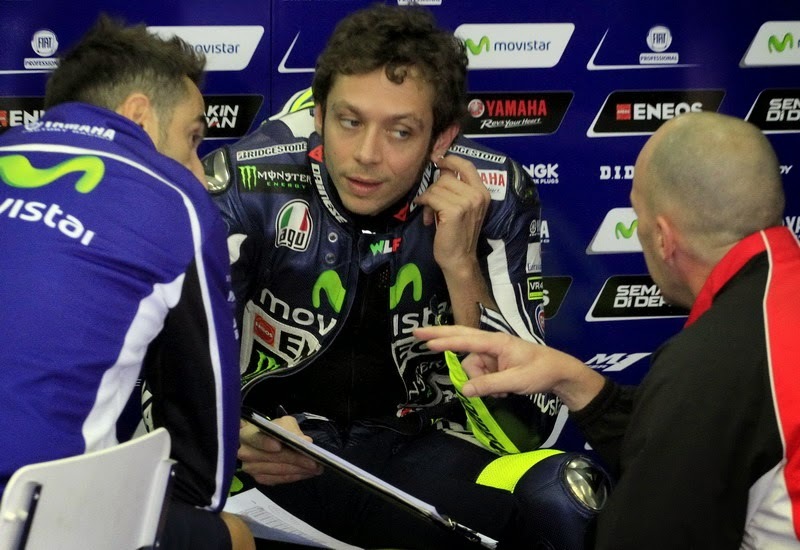 Movistar Yamaha rider, Valentino Rossi, admitted now more vigorous physical exercise in the gym to face the MotoGP Marc Marquez in 2015. For Rossi, stamina and fitness so important factor to be able to compete with its rivals. Although on paper became the most successful driver with seven-time MotoGP world champion, but the appearance of Rossi still inconsistent. He is far from able to compete with Marquez, and practically only fight for second place alongside Jorge Lorenzo and Dani Perdrosa. "Now, I train in the gym 65 percent and 35 percent above the motor. I have to pay attention to every detail in order to be the best, because that is the only way to beat Marc," said Rossi told La Gazzetta dello Sport , Friday (23/1 / 2015). The Doctor also gives the opinion that it is too early to talk about his chances earned world's 10th season. According to him, he must observe the level of Marquez, Lorenzo and Pedrosa first. "It's too early to talk about it, but with the results of last year, I still hope to be better, more competitive and win more races. I want to do everything, but I have to look at the level of Marc, Jorge and Dani," he concluded. 0 Response to "Preparation The Doctor Face Marquez in MotoGP 2015"